The threat of avian influenza (AI) remains a real ‘wild card’ which has the potential to impact supply, trade and consumer demand in 2016, according to Rabobank. In the second half of 2016, market conditions will be affected by AI-related import restrictions on breeding stock in countries like China and Thailand from the US and Europe, according to the report. This will lead to lower production in these countries, which are expected to affect potentially global poultry markets, it found. However, it also said that fundamentals for the global poultry outlook for next year are positive. Feed prices are expected to remain low, while competitive protein prices for beef and pork will be relatively high, according to Rabobank. This provides chicken with a potentially significant price advantage, especially with a weaker macroeconomic outlook, it stated. 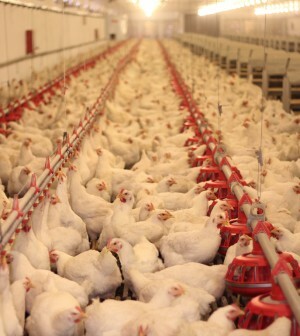 Under these conditions, demand for chicken is usually strong, as consumers tend to trade down to cheaper proteins, the report stated. Nan-Dirk Mulder, Rabobank Analyst, said that the extent to which the global poultry industry will benefit from these positive fundamentals very much depends on balancing supply and demand. “After a relatively long bullish market situation, many global markets have entered a period of oversupply at the end of 2015 with falling chicken prices and this needs to be solved in the next months in order to make the industry profitable again,” he said. Dealing with an ongoing threat of avian influenza will be a major challenge in 2016, and it will require further investments in biosecurity, improved industry structures and business models, according to Rabobank. Joint approaches between industry and governments are particularly important in this regard and as AI has become a clear global topic, the report said. It also said that the industry needs address the key challenges much more from a global perspective.